We offer a unique type of walking tour here in Chicago – one that combines the ghost stories, gangster tales, and history of Chicago’s past in one comprehensive Chicago tour. Voted as one of the best Chicago tours available to tourists today, we offer a historically-based, non-theatrical touring option to patrons of all ages. This is a 2 for 1 deal you won’t find with other touring companies. Why? Because we believe that ghosts and gangsters go hand in hand… you’ll have to come see for yourself. Ready to stand in the very spot where Chicago’s most famous gangsters and mobsters ruled the town during the Prohibition Era? Want a peek at the infamous deal-makings sanctioned by none other than Al Capone himself? Our tour covers all of the big gangster stops, narrating the 2-hour tour from an intimate perspective. In order to really understand the history that happened beneath your feet, all of our tours are guided by historians with accreditation in Chicagoan history to prove it. Our Gangsters and Ghost Stories tour will provide you with the once-in-a-lifetime opportunity to really experience the ghosts of Chicago’s past, touching on the most notable events in the city’s history – the very events that gave the city its character today. Whether you believe in ghosts or not, you might feel differently by the time this tour is over. Don’t forget to bring a camera! Although the ghosts are usually camera shy. 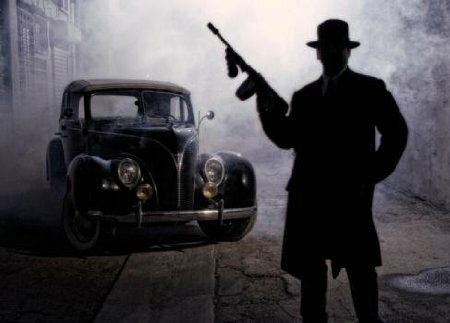 Take a trip down Chicago’s memory lane and consider an evening out with our ghost and gangster Chicago tour.